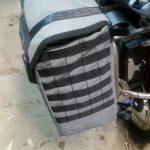 We can do custom made motorcycle bags and other custom work in canvas. 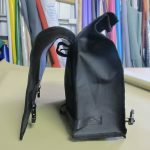 Below are some examples of orders we have completed. 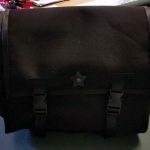 These are all handmade in Australia from Australian made canvas. 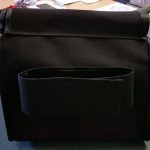 If you would like a quote on anything custom made in canvas please use our contact form. 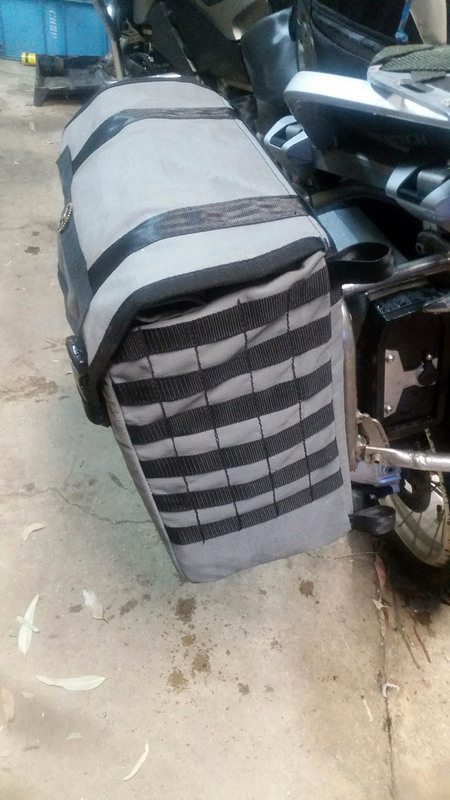 A set of custom panniers that have a quick mount system (as on hard panniers) added by the customer. 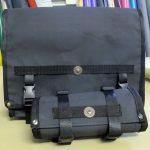 These are slightly wider than our Big Fella Panniers and made in tough grey ripstop canvas with wider straps and buckles. 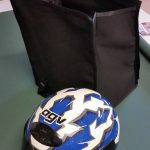 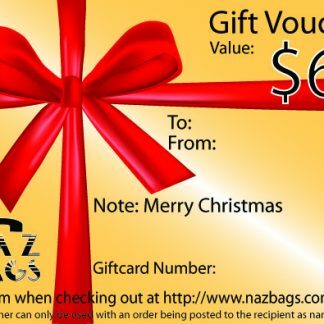 The order was for a helmet bag that will sit on a rack behind a sissy bar that sits at a 79 degree angle. 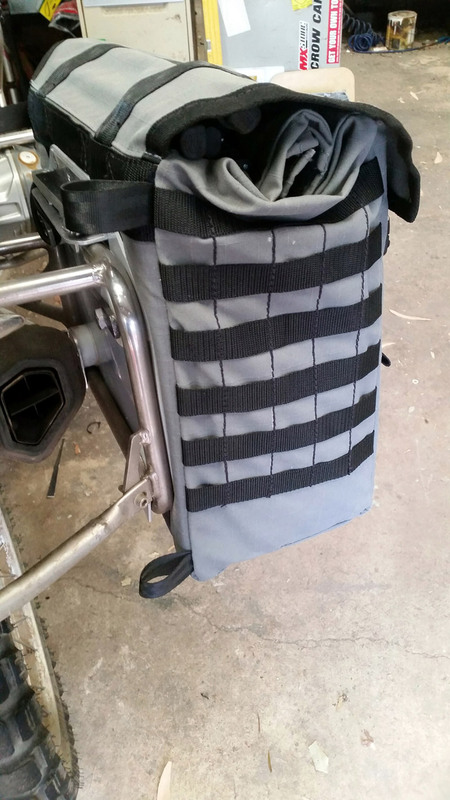 It needed two pockets of a certain size on the left and enough room for a large full-face helmet. 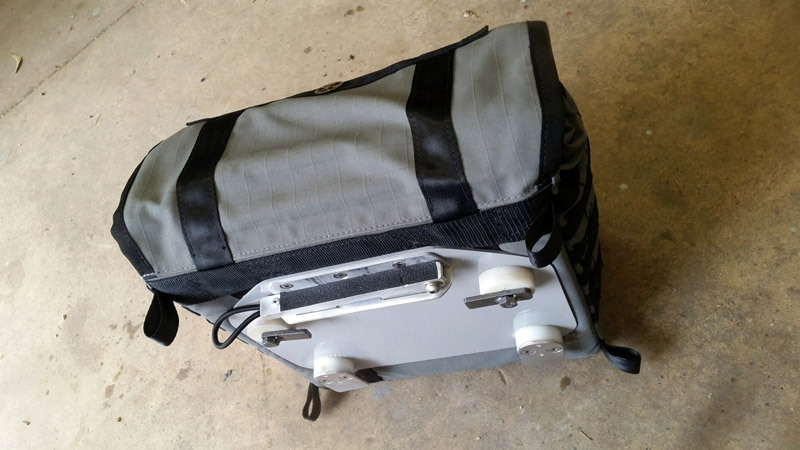 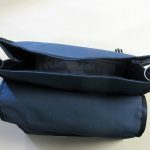 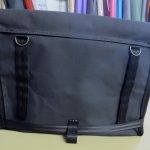 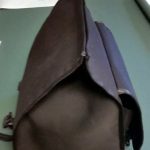 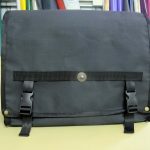 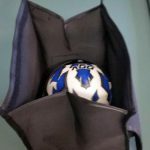 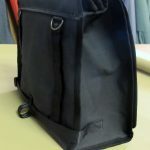 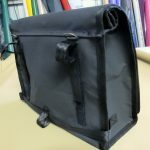 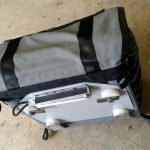 The bag has 3 way velcro straps on the base to attach to the rack and two eyelets for ventilation and drainage if ever needed. 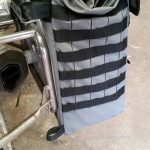 There is a wide strap that velcros around the sissy bar. 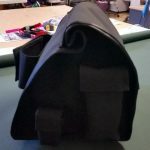 The top rolls down and seals with velcro but also has a flap that comes over to further protect it and enhance the overall design. 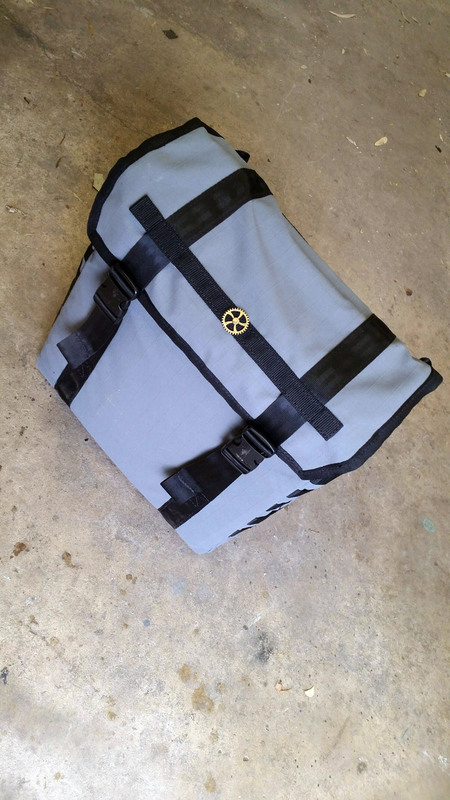 This bag is made of 8oz canvas with seat belt webbing binding. 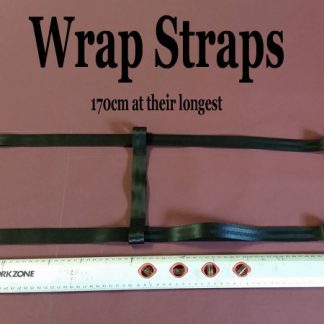 It is strong and hard wearing. 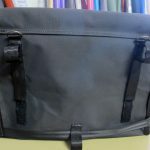 These can be done in a range of colours for $120 plus postage. 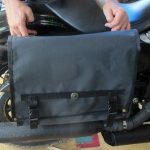 The order was for a single pannier that could also be taken off the rack and have a shoulder strap added. 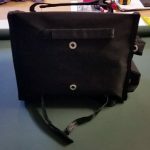 Much of this was in the pipeline for a standard product anyway so it was great to have an excuse to get started on the planning. 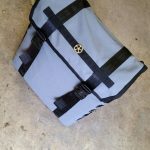 The pannier has a roll down top to keep the dust out but also a flap that looks great and offers extra protection from the elements. 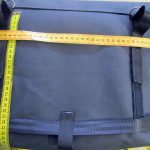 The measurements are about 400mm x 300mm x 150mm. 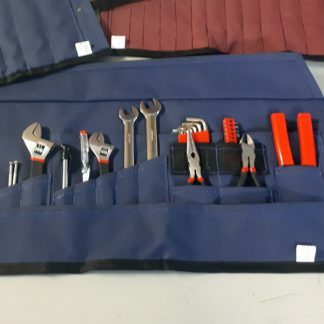 It has been made to fit on a barrett rack but also easy to remove. 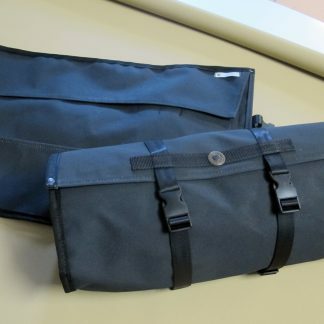 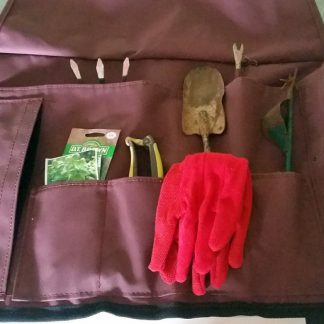 The pannier and outer tool roll are made from 11oz ripstop canvas.. very tough!